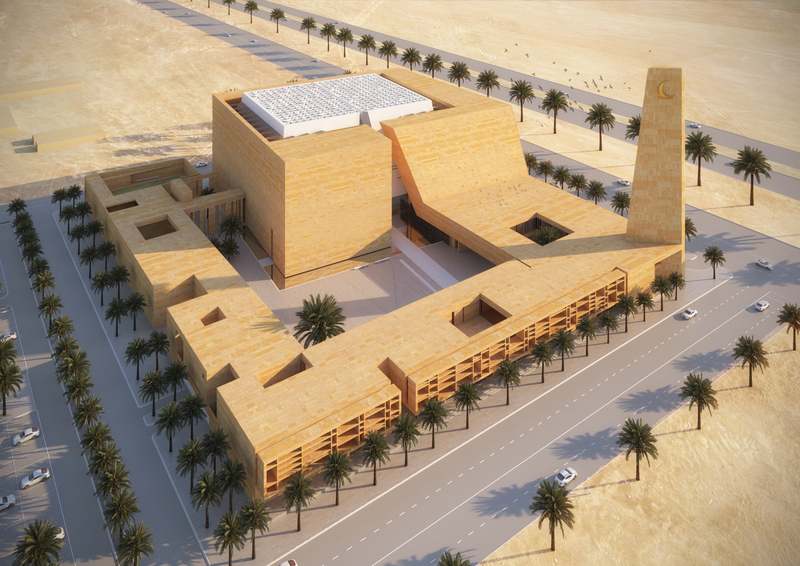 The Rome based firm Schiattarella Associati will sign the project for the new Mosque in the city of Ha’il, Saudi Arabia realized on an area of 22.500 sqm, on King Abdul-Aziz Road, able to host about 2000-3000 worshippers. A strategic area where the building complex is thought both as a service structure with religious and educational functions and as a landmark for the community. The project starts from an in-depth review of the local area identity and its relatioship with the urban sorrundings in order to define formal and architectural key elements. 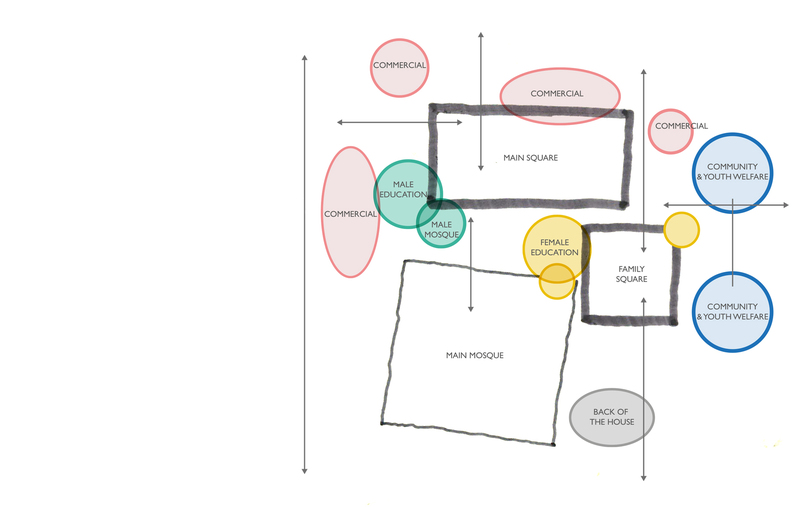 The complex develops around a central square, enclosed and cozy, which will be a meeting point. Access to the square is enabled through covered passages and small aired and shady courtyards, a protected location in which meeting and relaxing is pleasant. All around the plaza, there are commercial activities, coffee bars and little restaurants, whereas on the upper level there are offices, libraries, Koranic school and sports facilities for youngsters. The entire building complex is naturally dominated by the Main Mosque. 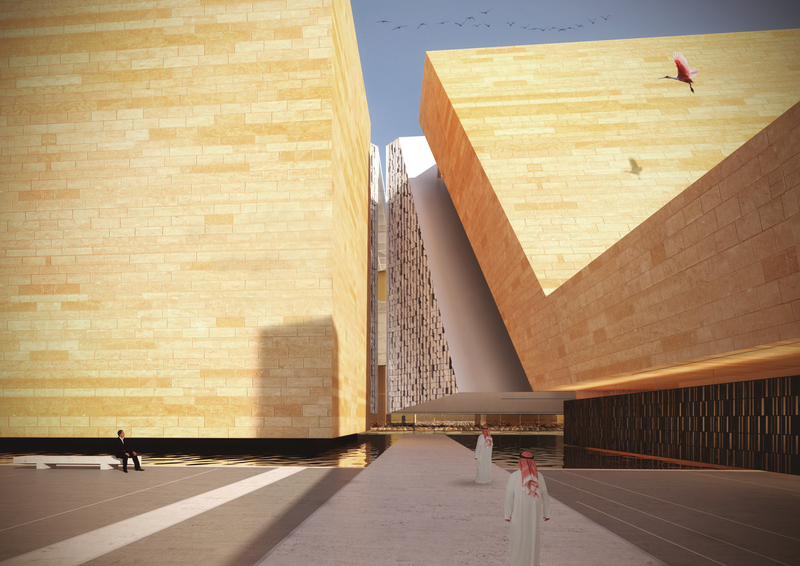 The project signed by Schiattarella Associati is based on the Saudi cultural identity values of Najd architecture; it gathers the principle of a people-oriented city and proposes it back again using a contemporary language respectful and attentive in the use of shapes and materials. The volume of the Mosque, despite its dimensions, apparently seems floating on the water surrounding it. The diagonal cut at the center of the stone-made façade marks the symbolic passage from outside to inside, the doorstep between civilian and religious area, promising and allowing the owed purge/purification. 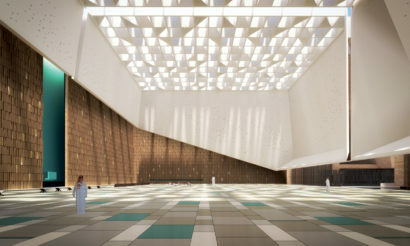 Place of meditation and sacredness, during the day, the main hall of the mosque is crossed by natural light seeping through along the perimeter in the intentionally empty space between the two walls, bouncing from one wall to the other and disappearing diagonally in the structure lighting it up in its lower boundary. At sunset, artificial light follows the same path in reverse order, so that the building becomes a landmark from the outside and is for all to see. The inner space is crossed by suffused and indirect light, which reflects on the rough walls surface and deeply penetrates in the Mosque. 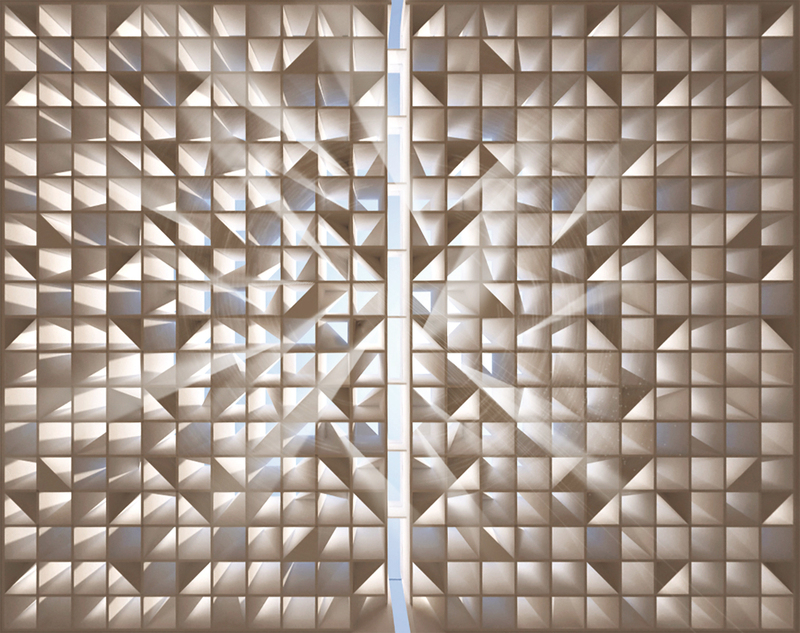 Light increases its intensity while approaching the Mihrab to indicate directions towards Mecca. Result is a space where light dominates underlining its sacredness and at the same time fosters meditation and prayer fully respecting local tradition and culture.